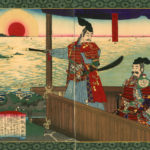 This week, we close out our time with Taiwan with a look at its return to the Republic of China, and at the modern day relationship between the “renegade province” and Japan. 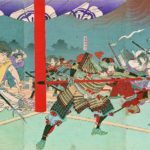 This fascinating Wall Street Journal article on the legacy of Japanese colonialism, as well as the early days of Republican rule. Roy, Denny. Taiwan: A Political History. Rubinstein, Murray. 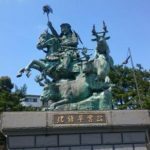 Taiwan: A New History. 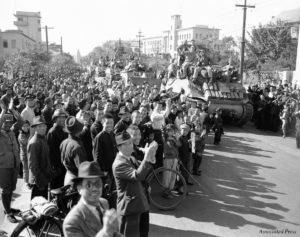 A commemorative photo of the events of Retrocession Day, as the October 25, 1945 surrender ceremony is sometimes called. 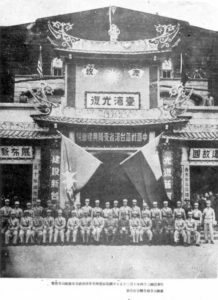 Taiwanese greet troops from the mainland, 1945. 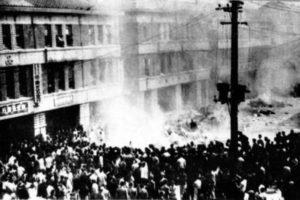 Rioters attack the Monopoly Bureau of the Taiwanese government during the 2-28 Incident. 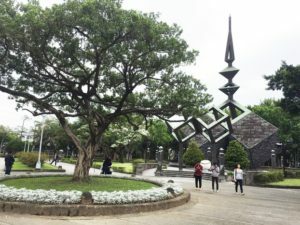 Today, Taipei’s largest park is known as 2-28 Park, and has a memorial to the events of 1947 inside. 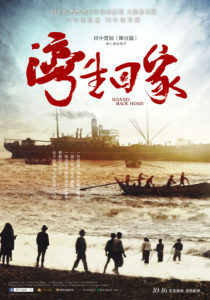 A 2016 documentary, Wansei Back Home, talks about the lives of Wansei (Taiwan-born Japanese) after their repatriation to Japan. Prime Minister Abe Shinzo and President Tsai Ing-wen, 2016. 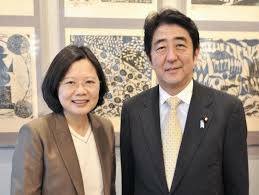 The mutual threat of the PRC has drawn Japan and Taiwan closer together in recent years.